Blue Springs State Park in Orange City, Florida is the winter home of hundreds of manatees. Located a little over an hour away from Disney World. 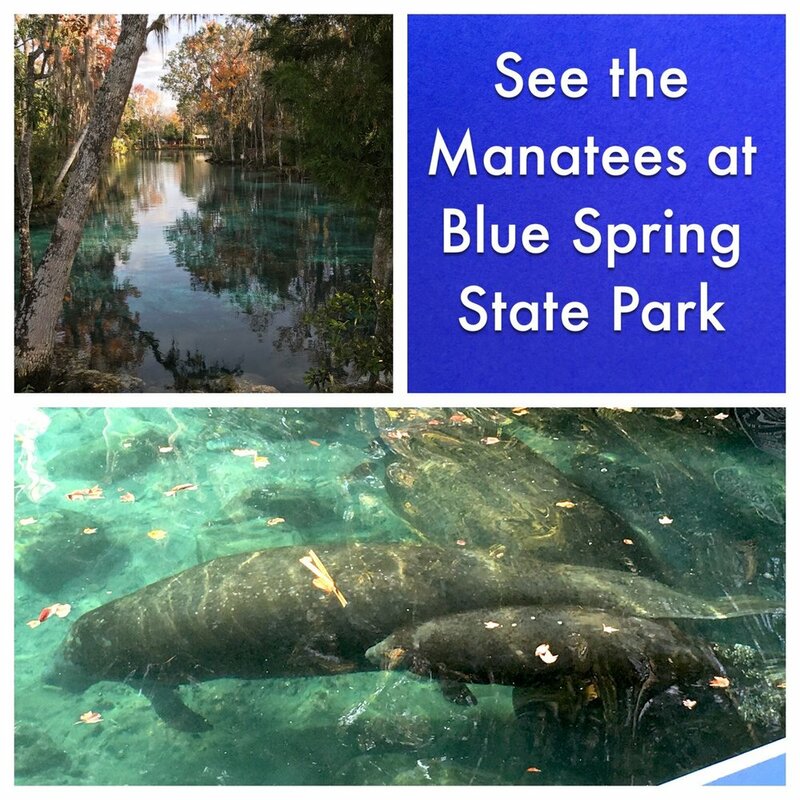 Seeing the Manatees at Blue Spring State Park is a neat addition to your Disney winter months vacation (typically mid-November to very early March). The manatees head there when the spring’s 73-degree waters are warmer than the rivers and canals they swim in during the rest of the year. When it really gets chilly, there will often be hundreds of manatees at the spring. This is a wonderful way to experience a bit of "real Florida" along side of the manufactured wonders of the Orlando area theme parks. It takes a little over an hour to drive to Blue Spring State Park from Disney World. The delight of being able to see so many manatees in such a beautiful natural setting has made Blue Spring State Park very popular and the park often reaches capacity so it is a good idea to arrive early. Blue Spring State Park is open daily from 8:00AM to sundown and admission is $6 per vehicle; limit 8 people per vehicle.